Henderson County Heritage Museum is housed in the Historic Henderson County Courthouse on Main Street. 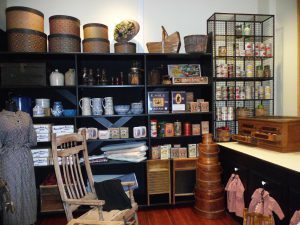 It offers public displays, artifacts, lectures, collections, archives, libraries, demonstrations, a replica of a turn of the century county store and other similar exhibitions relating to the history, culture, heritage of Henderson County. The museum celebrates veterans of all wars, and has an Civil War Display. Room Availability Searching for room in the Hendersonville area? Check the Room Availability Report!